Regular trips to the gym can be valuable as you lose weight in downtown Los Angeles, but only if you sign up with the right one. Because there are so many gyms in Los Angeles and each one offers something different to its members, it’s important to be selective when searching for one. Regardless of your commitment to exercise, you’re far more likely to visit a gym down the street than one on the other side of town. Even if it doesn’t seem like a big deal right now, a long drive can cause motivational difficulties down the line, especially after a busy day. Stick with the 15-minute rule—your gym should be within 15 minutes of your house or workplace, and ideally even closer than that. Gyms come in all different shapes and sizes. Your gym should match your personal exercise interests as closely as possible, with the kinds of gear and instruction that can provide years of fulfilling workouts. Some people hope to explore an array of activities as they lose weight—if this sounds like you, a large-scale fitness center may be the best fit. Others have already discovered a single workout that they love above all others, like yoga, Pilates or Zumba. For them, a studio that offers one of these activities exclusively can offer more individual attention and value. The gym industry is extremely competitive and invests a lot of money to train sales people adept at getting you to part with your money week after week. Don’t be persuaded by special offers that are only available if you sign up on the spot. These high pressure tactics can rush you into a decision that you will regret by deciding on a gym before exploring all of your options. Take your time. If you have decide to join it is likely that you will be able to find that “never to be repeated” offer materialize again if you present yourself as still undecided. Most gyms provide tours and trial memberships, and this gives you the perfect opportunity to get an up-close look at what each gym offers. 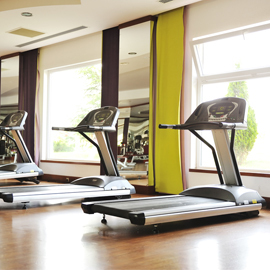 Whenever you find a promising gym, be sure to take it for a test drive to ensure that its equipment and amenities will meet your needs.